Radical Love, by Toni Greaves: Color photo essay of the journey of a young woman becoming a Dominican nun. 8×10, hardcover, color images. The style leans more towards photojournalism, with pleasing aesthetics. Monasteries of Greece, by Chris Hellier and Francesco Venturi: A illustrated history of monasteries in Greece, published by St Martin’s Press. Starts with St Catherine’s on Mt Sinai; includes sections on Mount Athos and Meteora. 12.5 x 10, hardcover, color images. A finely done survey, but one emphasizing place and architecture, not the monastic life itself. Revelations of Byzantium – The Monasteries and Painted Churches of Northern Moldavia, by Alan Ogden: Another photographic study of Orthodox church and monastic architecture. 12×10, hardcover, color. Monastery Guest Houses of North America – A Visitor’s Guide (5th Ed. ), by Robert J. Regalbuto: Photographic and travel guide to Roman Catholic monastery guest houses; appeals to travelers looking for a unique retreat or travel experience. 5×8, paperback, color images. 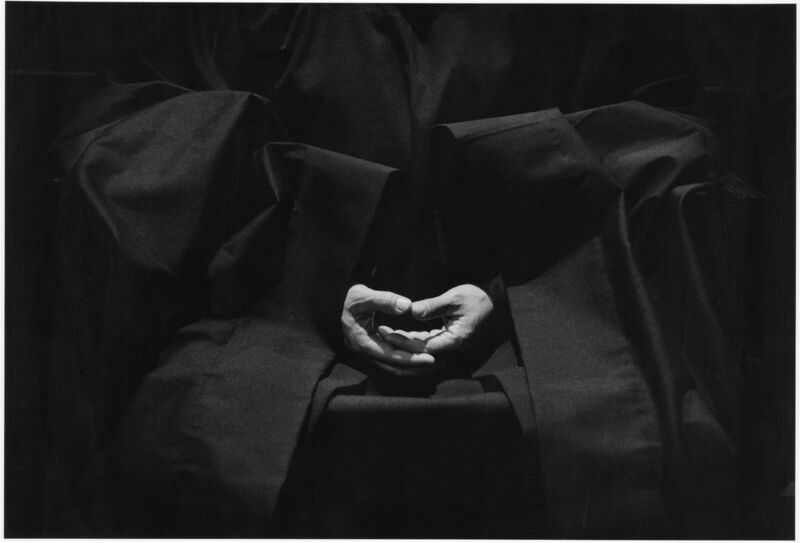 In addition, twenty-three selected monasteries share their “personal stories” and offer a glimpse in the surprising spiritual appeal of monastic life in 21st century America. 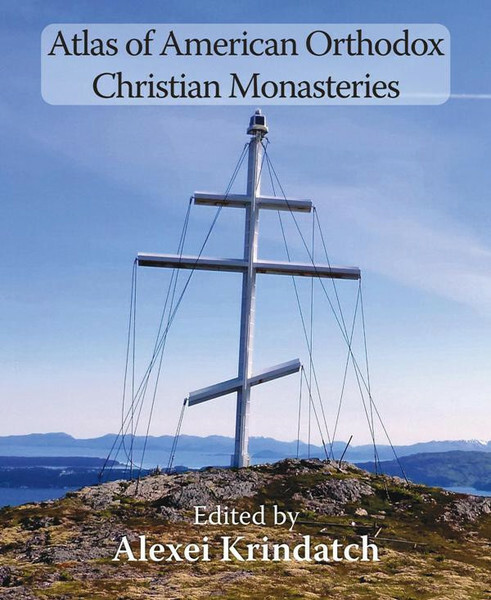 Besides the fact that the Atlas is of a very different type and format, the Atlas proves there is growing interest in Orthodox Monasticism in North America, and seeds the target audience with an excellent resource which can only serve to increase that interest and benefit Orthodox Christianity in North America and Orthodox monasticism in general, and the Thebaid Project as well. I purchased the Atlas when it first came out, and endorsed it on my Thebaid blog, and am already using it for my own travels and research. Lastly, the North American Thebaid Project is deliberately conceived to be both pilgrimage as well as publication. In a very practical manner, it is not just another book which to the public seems to suddenly appear from nowhere, but an endeavor which invites — and depends upon! — fellow ‘Thebaid Pilgrims’ to join in the journey of its creation, and by doing so hearkens back to inspirations from earlier epochs of Orthodox Christianity. Just as Seminarian Gleb Podmoshensky set out in the early 1960s to make his way across the northern USA, Canada and Alaska, photographing the ‘Holy Places of America’ (the title of his slide show of his pilgrimage), and relying on contributions from parishes along the way, so I am setting out in faith and hope to photograph the North American spiritual landscape over fifty years later. And, just as Gleb’s photographic presentation had a dramatic impact on a young man in San Francisco, a certain Eugene Rose (the future Fr. Seraphim Rose, who at that time had not yet even been received into the Orthodox Church), so I hope the North American Thebaid will have a similar impact on new generations of God-seekers today, spurring them on to encounter Jesus Christ in the Orthodox Church and perhaps even in the Orthodox monastic tradition. It is written of the first monastics that they made “The Desert a City”, there were so many who fled the world into the Egyptian Thebaid and the Palestinian desert of the 4th and 5th centuries. A thousand years later there grew a Northern Thebaid, which spread Holy Orthodoxy across the vast Russian forests and wilderness all the way to the Pacific Ocean in the Far East. It was monks from that Russian Northern Thebaid who brought the Orthodox Christian Faith to North America in 1794, planting deep and resilient roots which are bringing forth much fruit today, yet which face grave challenges. Together, today, we can help populate the North American Thebaid with zealous citizens of the Heavenly Kingdom. And just as the Egyptian Thebaid Desert became a City, filled with monks and nuns, so might America be baptized and churched by this expanding Orthodox missionary movement, becoming not a mere “city upon a hill”, but perhaps, by the grace of God, a foreshadowing of the heavenly city, the New Jerusalem, our eternal and true homeland, to which the Lord Jesus Christ shall take us to be with Him, when He comes again in glory at the close of the Age. “Our times, above all, call for humble and quiet labors, with love and sympathy for other strugglers on the path of the Orthodox spiritual life and a deep resolve that does not become discouraged because the atmosphere is unfavorable. — Blessed Paisius Velichkovsky, by Schema-monk Metrophanes; From the Introduction by Hieromonk Seraphim (Rose), St Herman of Alaska Brotherhood, Platina, CA, 1976. So, I invite you, if you have read this far, if you see any glimmer of value in this fool’s errand, to bless it with your financial contribution and your prayers, and join me on this holy pilgrimage. I just ordered this because the author recently visited St Silouans in Sonora CA where I live. Thank you for reminding me of this! Yes, I came across it at St Gregory Palamas Monastery in Hayesville, Ohio – perhaps a decade ago. A wonderful book which rightly deserves all the five star reviews at Amazon. I’ll update my post to include it. And, I am very much looking forward to making a pilgrimage to St Silouan’s. I have dear friends who have visited there, and have been watching the founding and news with great interest, and have posted about its consecration here.